4k00:19Overlooking. panning shot of Hong Kong's crowded urban cityscape. with many highrise buildings and a complex highway system. 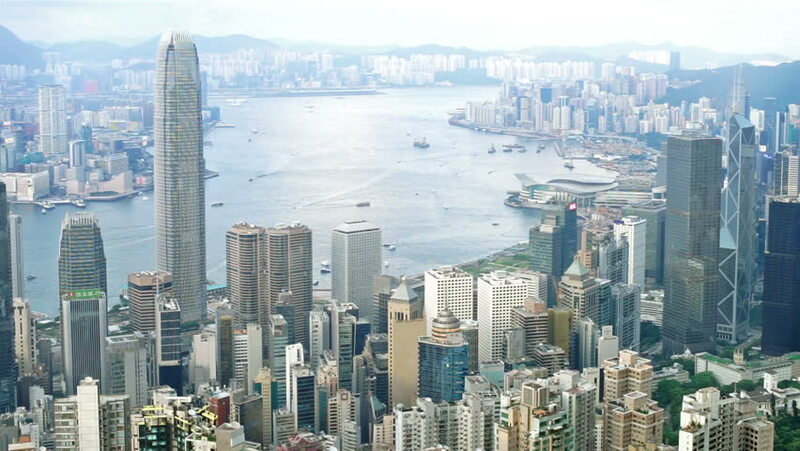 hd00:14Time-lapse Hong Kong City skyline day time view from Victoria Peak.